Whiteside is a “pluton,” which means it originated as a mass of molten rock beneath what was then the earth’s surface. Its rock type is granodiorite, an intermediate between granite and diorite, and it’s from the Devonian period, making it some 390 million years old. 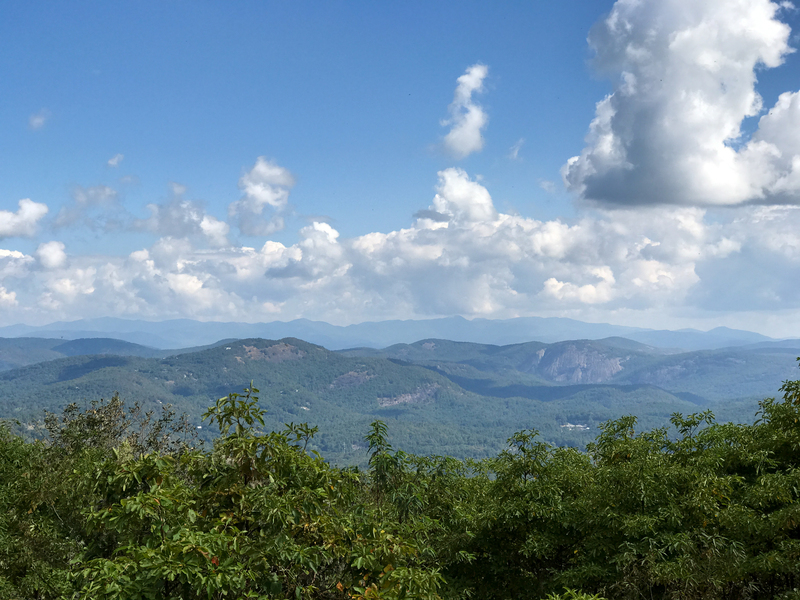 Whiteside’s 4,930-foot crest forms a section of the Jackson/Macon county line, and it’s a summit that can be attained by most people because the U.S. Forest Service maintains a loop trail (directions below) that offers panoramic views. October, with its clear skies and typically perfect weather, is a great time to check out the mountain and enjoy its spectacular views. 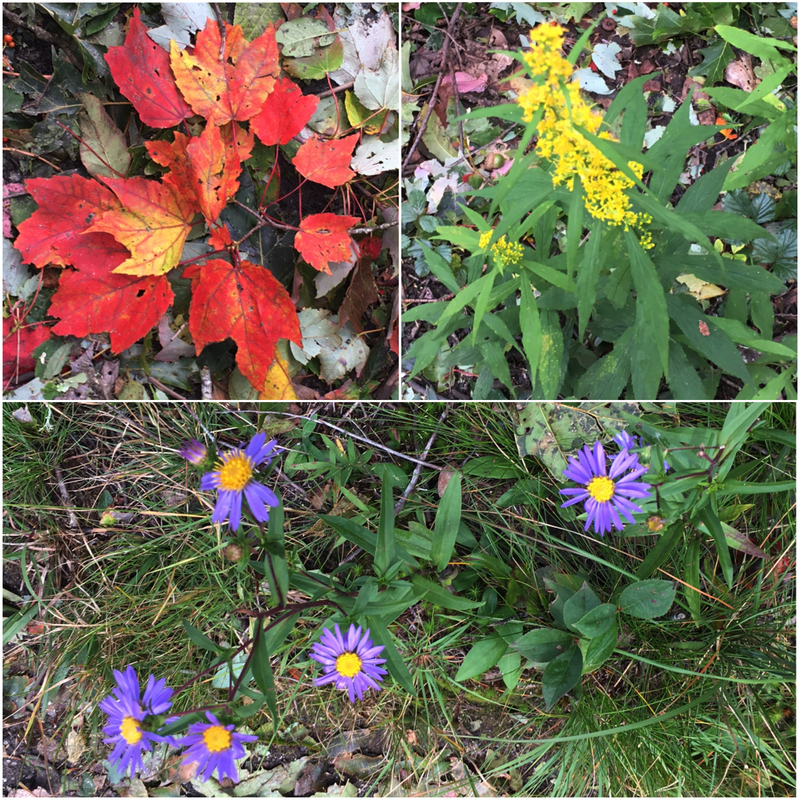 Leaves beginning to change color announce the approach of autumn, and colorful wildflowers still brighten the way. 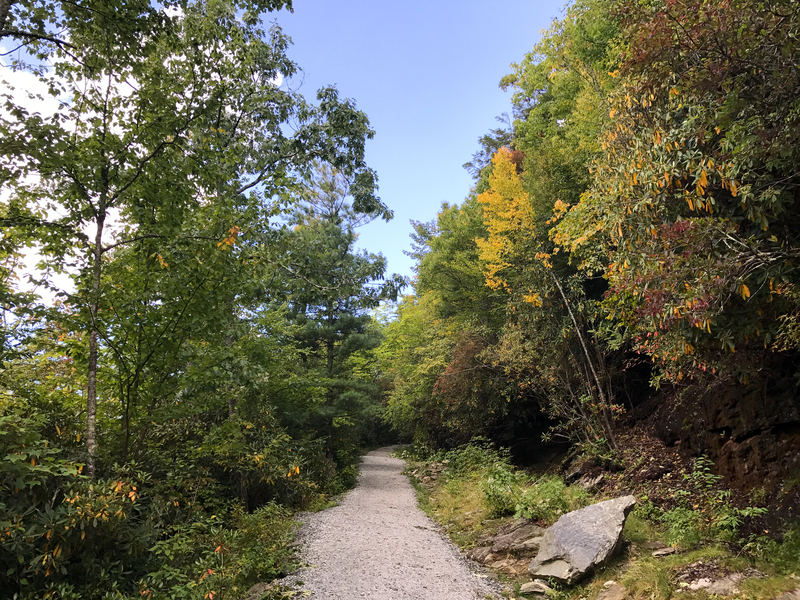 Hikers have a choice of reaching the summit via the more gentle former roadway or using the more scenic, but steeper, trail, which includes lots of Forest Service-constructed stairways. Whiteside Cove, the broad valley in the mountain’s shadow, has a storied past and includes a structure that once stood atop the mountain. 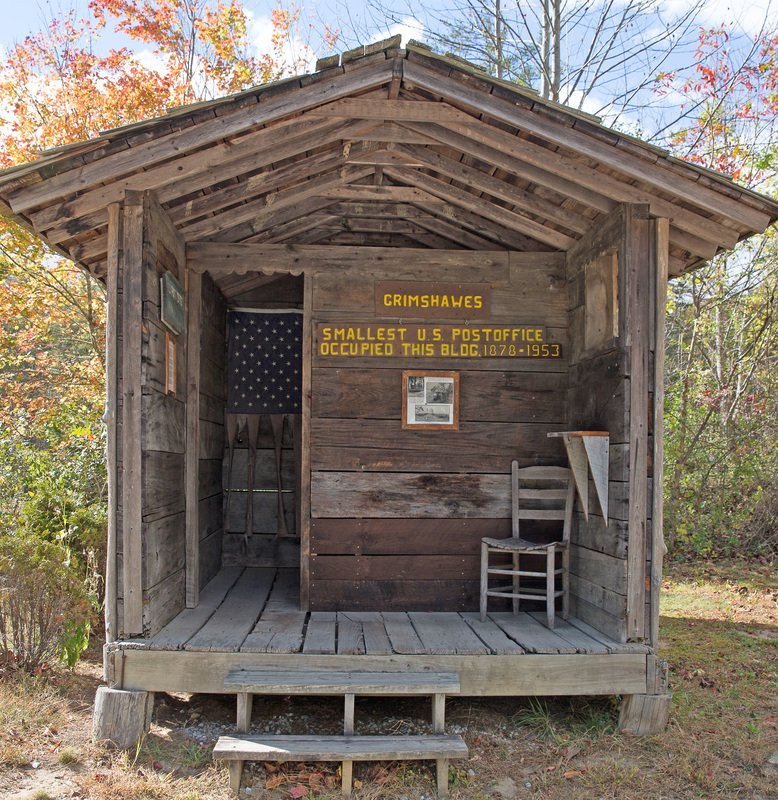 That structure began as the Grimshawes Post Office, thought to have been the nation’s smallest post office. It operated in Whiteside Cove for the first half of the 20th century. 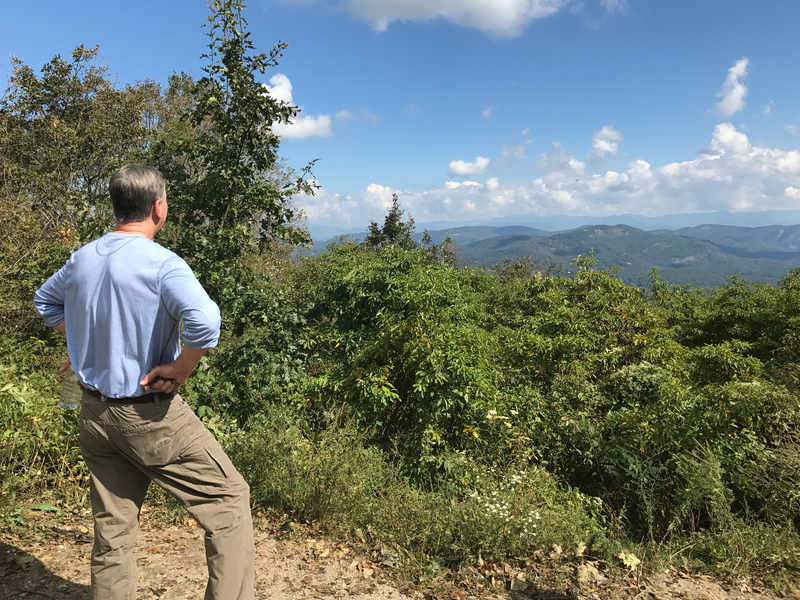 Anyone traveling Whiteside Cove Road can stop by the former Grimshawes Post Office and enjoy both a history lesson and a breathtaking view of Whiteside Mountain. According to the county history, the little post office operated for 31 years (1878-1909) as Whiteside Cove before it became Grimshawes in 1909. Its early postmasters were named Grimshaw – also spelled Grimshawes in one instance. The post office was discontinued in1953 and mail deliveries transferred to Highlands. However, the end of its use as a post office did not mean the demise of the 5-foot by 6-foot frame building; the structure was moved to the top of Whiteside Mountain, where it became a ticket office and postcard stand before falling into disrepair. Through the efforts of the late William McKee, the historic building was salvaged and reassembled where it stands today. The 2-mile hike up Whiteside is appropriate for all ages; the views from the top are incomparable. Directions: From downtown Sylva, travel south on N.C. 107 to the intersection of N.C. 107 and U.S. 64 in Cashiers. To climb Whiteside Mountain, turn right onto U.S. 64 and travel about 5 miles to S.R. 1600 (Whiteside Mountain Road) and follow the signs to the Forest Service parking area and trailhead. The trail itself is a moderate 2-mile loop that climbs above 750-foot sheer vertical cliffs and offers good views to the east, south, and west. The elevation gain is 800 feet, and the hike will take about 90 minutes. To visit Whiteside Cove and Grimshawes, continue south on N.C. 107 past its intersection with U.S. 64 for about two miles and look for Whiteside Cove Road on the right, a short distance past High Hampton Inn. Grimshawes, on the right side of the road, is about 2.5 miles from N.C. 107.